Have you ever noticed that in our culture, at least in the United States, there is a unique little system of etiquette surrounding how we talk about money? We Americans pride ourselves on being very open when it comes to discussing any topic whatsoever; nothing is taboo, and this sometimes even becomes a fault of ours. When I lived in Austria, the local Austrians remarked on how "talkative" Americans were on a whole host of subjects. Americans are an extremely opinionated people who thoroughly resent being told to curb their language, for good or for ill. Yet, in the past few years, I have noticed that there seems to be certain taboos in our society regarding how we talk about money with other people. I noticed this first some years ago, when I was just hired at a job. I was talking with another employee (an employee who had a completely different job than mine) and asked them how much they got paid for doing that job. They answered cordially at the time, but later I was rebuked by my boss; I found out that the employee had actually been offended by my question and had complained to the boss about it. The boss told me in no uncertain terms that it was "not appropriate" to talk about money with other employees. Why? Perhaps it is something management prefers to keep in place so that workers don't become envious of each other in situations where there may be merit based pay? That might be so, but here it was the employee, not the boss, who was first offended, and we did non-competing jobs that weren't in a similar pay-bracket anyway. The employee was offended that I had asked about money, and the boss agreed. It is not just something fostered by employers; rather, it is something about the American workplace in general. Okay, so we are not supposed to talk to other employees about how much we make. Other taboos: Issues relating to money can only be discussed in private with your boss. It is not appropriate to speak about money in a letter or email. It's not polite to ask a friend of yours how much he makes at his job, nor in social settings should you talk about your own income, especially if it is on the larger side. If you cannot participate in an event, it is wrong to say, "I don't have enough money to do that"; you are supposed to offer a more tactful excuse that doesn't involve money. If somebody owes you money, you can only ask them about it in person. And, speaking of "asking about money", it seems to be an unwritten rule that people who owe you money somehow end up making you feel like a jerk for asking for the money you are rightfully owed! At any rate, I can probably think of more, but you get the picture. There are a lot of social taboos in place that seem to suggest that money is a topic we simply do not discuss in social situations. This doesn't make any sense to me whatsoever. Just because it is etiquette, or "good office manners" doesn't mean it is correct. The way I see it, surrounding money with these taboos and aura of unspeakability tends to raise its importance in our lives. We almost treat mammon like God, someone whose name is only to be used in certain contexts and never lightly. Should money have such a place in our society that even how to talk about it is hallowed by all these guidelines? I think this comes from our own cultural delusion that we are a classless society of equals. In old Europe, for example, there was an obvious class system that was by and large accepted. There were rich people and everybody knew who they were - this was evident from their dress, homes, manner of living and even their speech. Moreover, their incomes, largely rent based, were a matter of public knowledge, in many cases. Think, for example, about the depiction of the wealthy of Georgian England in the Jane Austen novels. Everybody knows that Mr. Bingley is worth £5,000 per year; likewise, everybody in the whole village and presumably the whole county knows that Mr. Darcy is worth £10,000 per year. Their wealth, and even the degree of their wealth, is common knowledge, because they live in an aristocratic society where divisions based on wealth and prestige are public and an acceptable part of society. Now take the United States, where we "threw off" our aristocracy and established a government ruled by the people and based not on wealth and privilege of birth, but common citizenship. In our society, we don't like external characteristics that remind us of wealth distinctions. It brings to mind the unhappy reminder that we are not, in fact, a classless society, but a society of great disparity of wealth. We do lack, however, many of the cultural trappings of external wealth that old Europe had. Nevertheless, to maintain the illusion that we are all just citizens who are by and large the same, we negate the issue of monetary disparity by refusing to discuss it. That's my theory, at least. I didn't even realize how deep these taboos ran until this summer I took a temporary job with the company of a friend of mine, a very good Catholic and a very open, and frank man who lacks any of the monetary taboos I have been talking about. Well, there came a day when I was supposed to ask him about how much he was going to pay me for a certain job.At my previous job, I could never discuss such things easily or openly; they required private "meetings", sometimes much more than one and were always discussed in a very delicate way. but, to my surprise, my friend just said, "So, how much do you want?" I said, "Do you think we should talk about this in private", as we were in front of several other employees. He said, "No, we can talk about it right here." Then, and only then, did I realize how unaccustomed we are to asking for money or speaking about it openly in the company of others. Nevertheless, I did what he wanted and blurted out an amount, which was basically agreed to immediately. It was so easy. Money was really no big deal to him, at least as far as talking about it is concerned. I think we ought to not have so much sensitivity in the way we speak of this subject; it just gives it more importance than it needs to have. If you need money, ask for it. If you can't afford it, say "It's too expensive." If someone asks you what you make, why not tell them? And don't get offended if somebody asks you. Don't get all touchy is somebody wants to discuss money; it's really not that big of a deal. And, if you owe somebody money, don't try to make them feel like an idiot for asking; you are the one that needs to be humble because you are the debtor; the creditor can ask for his money any way he wants, by letter, email, phone call or in person. I'm not against manners, but I am against stupid taboos that are propagated under the auspices of etiquette. First the Fr. Corapi debacle, now Fr. Pavone. 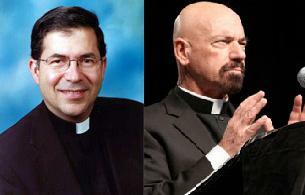 Two different priests with different apostolates and different sorts of "falls", yet both undoubtedly tarnished and caught up in scandals that have irreparably sullied their reputations. Yet whatever side one takes on these current events, they are most certainly made worse by what, in my opinion, is a shocking lack of obedience on the part of the priests involved. I am not here interested in narrating the details of the Fr. Corapi case or the Fr. Pavone case; I presume my readership to be well enough acquainted with them. At any rate, I use these cases not to make any specific claims about either but to illustrate a general principle - namely, that there seems to be a particular Americanized concept of obedience in play here that sees obedience as justly refused if we subjectively believe our "rights" are being trampled on. Fr. Corapi, in denying legitimate requests from his superiors and bishop and choosing to leave the priesthood rather than submit, and Fr. Pavone, in appealing his case to Rome over the head of his ordinary, seem to be operating on a concept of obedience that is more concerned with asserting their personal rights rather than seeking holiness. "Those trusted with leadership and administration of religious communities are vested with Divine authority, since they are appointed representatives of God. Hence, the attitude of subjects is expected to be one of sincere and humble deference and childlike docility towards all legitimate Superiors. This is something quite different from modern democracy. "Particularly, in our day of ultra-democratic tendencies is this likely to happen and, indeed, does happen frequently. Self-will takes the place of humble and cheerful obedience. As long as Superiors adjust their directions to the likes and dislikes of their subjects, they are praised and cherished and obeyed promptly. Whenever the contrary occurs, they will be blamed, at least very often, of imprudence, ruthlessness or lack of charity. Allegedly, Superiors "forget" that all members of the community have the same rights since they are bound by the same religious profession" (ibid, 7-8). Fr. Pyzalski's next comments are especially pertinent to the Fr. Pavone case, which as Ed Peters seems to have proven clearly, is a case of a priest gradually assuming the attitude that his social work, however important it might be, is more important than his priestly ministry and the glory of God. Fr. Pavone has called Pro-Life work "the core of my life", to which Dr. Peters rightly responds, "Something is seriously askew here. Nothing, not even the most visible (and arguably the most effective) pro-life work in the world, is at the “core” of any priest’s life; nothing is there, besides the High Priest Jesus Christ. That is no pious platitude. For any priest, religious or diocesan, to assert before the world that anything is at the core of his life besides the Son of God is very disturbing. " 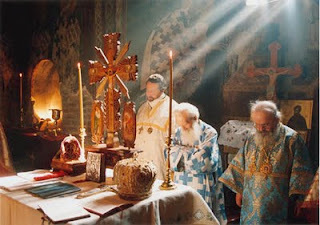 "The first and most essential task of every religious community [or priest] is the imitation of our Lord Jesus Christ. Social, educational, or similar work is not the supreme task...it is only a means to further God's glory...To perform any social work whatsoever without regarding God's glory and the teaching of Jesus Christ [on obedience], the Supreme Master of mankind, would be incompatible with religious obligations and the religious character in general. After losing the spirit of Christ, which is one of filial docility towards God and His representatives, a religious order is but a poor makeshift of what it ought to be. It cannot expect Divine blessings on its activities, nor real happiness in its members" (ibid., 8-9). 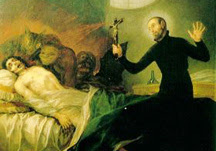 In short, the traditional Catholic teaching on obedience is that obedience is due to all lawful superiors at all times, and that virtue and holiness of character is developed and proven especially when the obedience is due unjustly, or demanded with a heavy hand, or when one suffers some humiliation because of it. To refuse obedience, or even to simply use litigation to get around obedience by asserting one's "rights" and appealing over the head of one's superior, might not be sinful, but it is a demonstration of a very poorly formed idea of obedience...of a life that is more centered on what one wants to do rather than on what should be done in obedience. It reveals a problem with willfulness. There is much more that could be said. Bottom line: obedience is due in all circumstances unless it is an unjust command (by unjust, I mean one that commands what is sinful). Other than that, even if a priest believes he is in the right, even if "his" ministry is on the line, even if millions of dollars are wrapped up in it, the priest owes complete and total obedience to his superiors. The sad tales of Fr. Corapi and Fr. Pavone should also furnish us with ample evidence to suggest that priests should probably not become "celebrities" who are independently wealthy. It just...doesn't work out very well. Click here to purchase Fr.. Pyzalski's book The Holy Will of God! Hey everybody! Just an update on the new website - I have been working on it for the latter part of the summer and am finally getting comfortable with the interface. It's going to take awhile before it is live; but in the meantime, I had mentioned that I wanted to get a few more contributors. I am looking right now for a couple of articles to add - theology, history, spirituality, economics, whatever. I'm going to go through the whole idea again; I have already mentioned this all here. If you have something to send that you think is good enough to be posted, please send it to me. Leave your name and email in this combox (I won't post it).